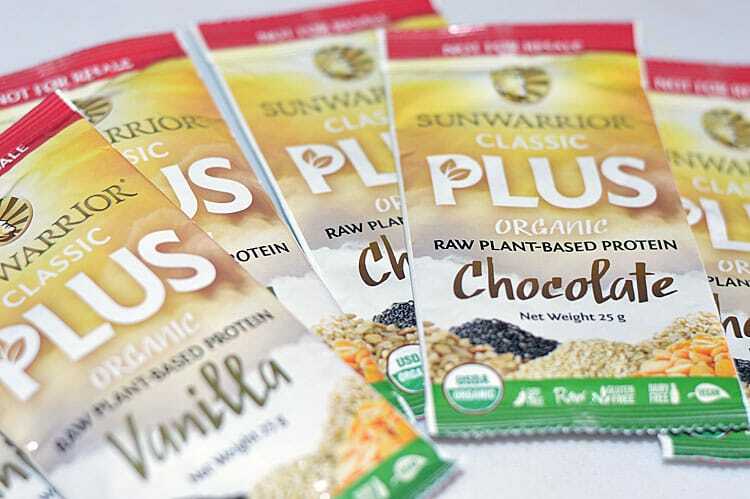 I have long been a fan of Sunwarrior’s vegan protein powders and was recently contacted to review their Classic Plus Organic Raw Plant-Based Protein Powder line up. I sampled the vanilla and chocolate, but it also comes in a classic natural flavor. Organic Certified Classic Plus builds on Sunwarrior’s original rice protein by adding in the amino acid balancing effects of peas, chia seeds, quinoa, and amaranth. This superfood combination still relies heavily on the gentle nature of whole-grain brown rice, but with a hefty dose of the strength that has made Warrior Blend so popular. I’m always looking for new ways to incorporate protein into my everyday life. Smoothies are always a great way to use the powders, but today I decided to make high protein muffins! You’ll find a printable recipe for both versions at the end of this post. First up, Banana Muffins using the vanilla protein powder. I topped some of those with vegan chocolate chips. 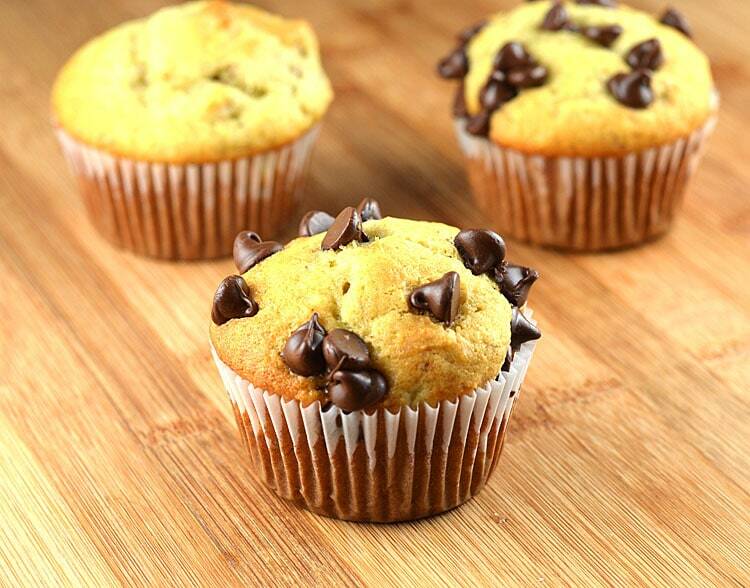 Next, I decided to try out these Chocolate Banana Muffins using the chocolate protein powder. 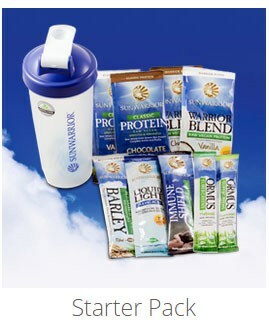 If you would like to try Sunwarrior® products for yourself, you can visit their website at: www.Sunwarrior.com I love that you can now get some of the products in single serving sizes which is really convenient! DISCLOSURE: Financial compensation was NOT received for this post. A sampler pack of product was gifted to The Veg Life! for the purposes of review. The opinions expressed here are my own and the recipes used in the review of this product were not sponsored. 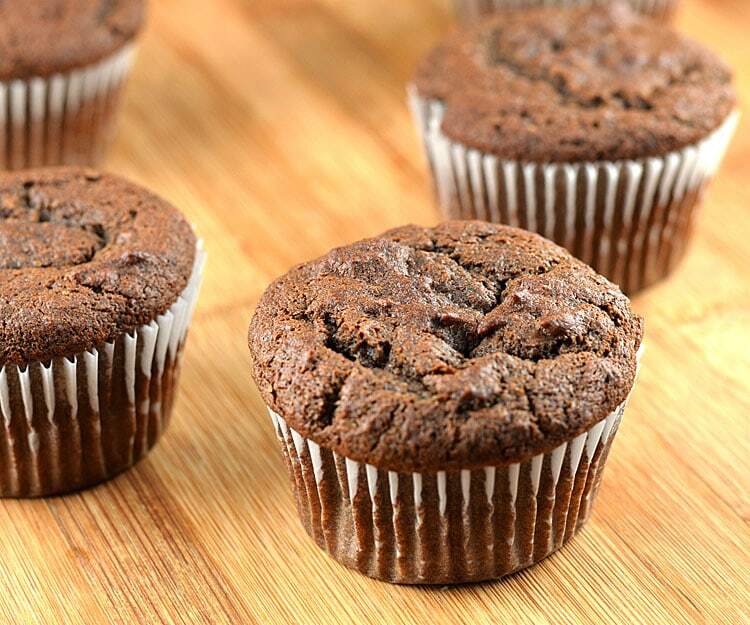 Insert paper cupcake wrappers into standard sized muffins pans. 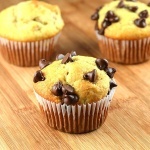 Combine ingredients for desired muffins in an electric mixer. Do not over beat. Spoon measured portions into paper wrappers using an ice cream scoop. Top with vegan chocolate chips, if desired. Cool completely on a wire wrap. These freeze extremely well. Just wrap individually with foil paper.